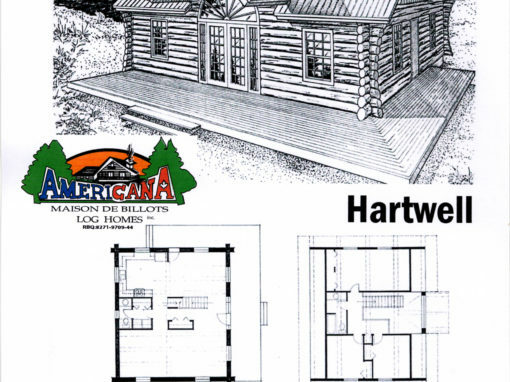 Most of our projects are custom built to your specifications or you can simply choose one of our models that suits your preference and style. 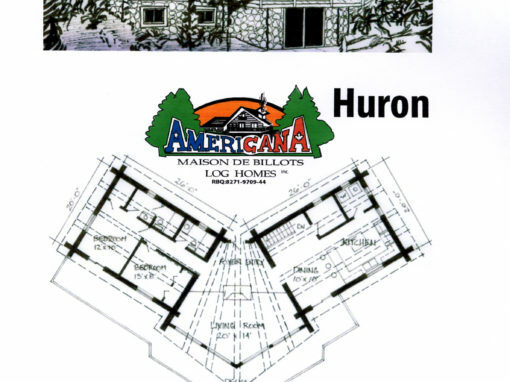 We offer samples of custom handcrafted log homes that we have created over ther years. 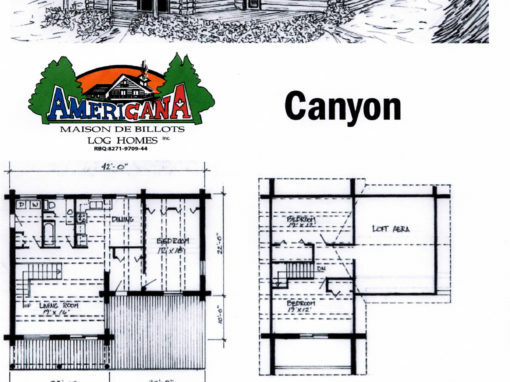 Use them for ideas and then let your imagination run wild. 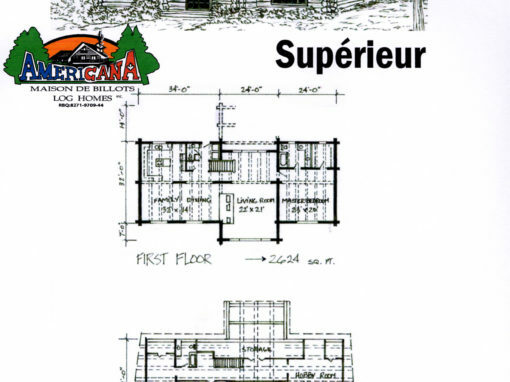 Please take note that the floor plans are inspirational and showed as examples. 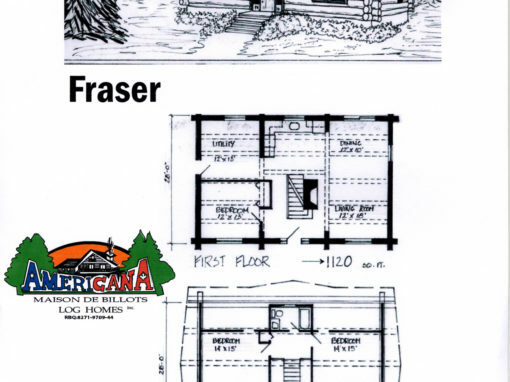 They may be altered and/or modified to reflect your ideas. 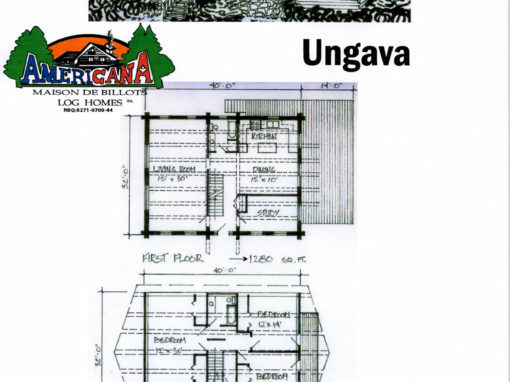 Contact us for further information. 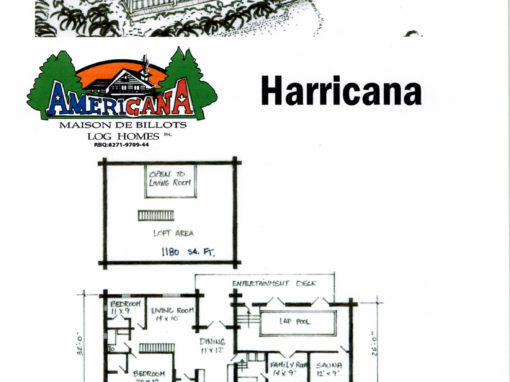 Please forward us your questions/comments. 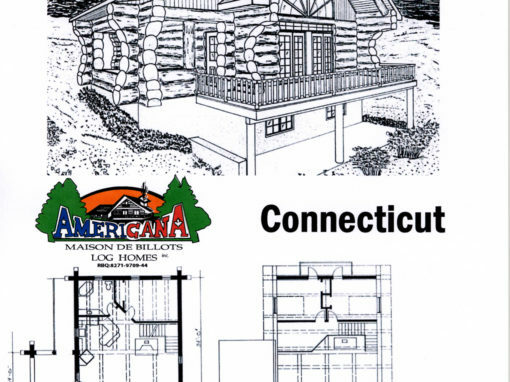 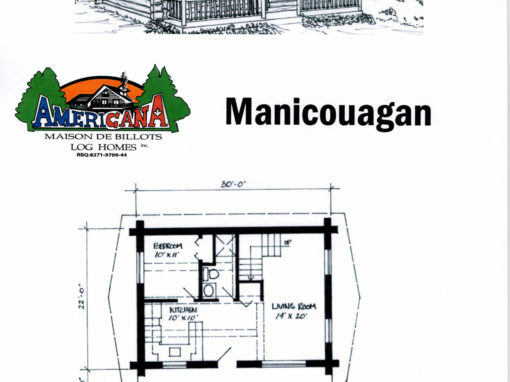 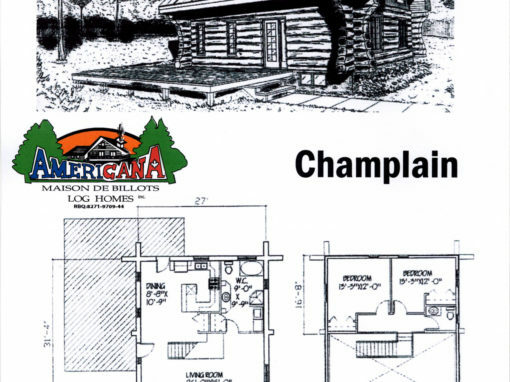 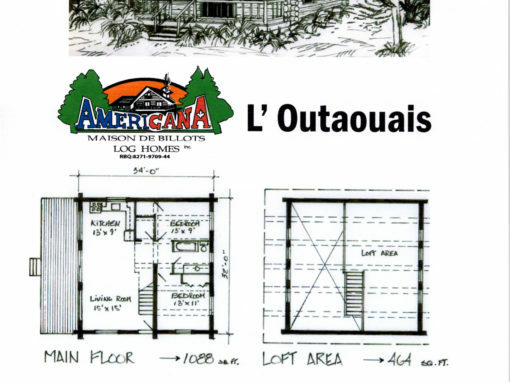 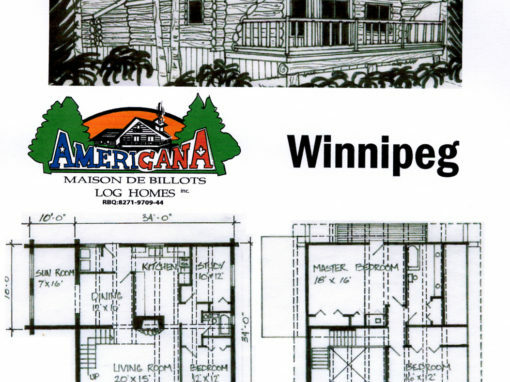 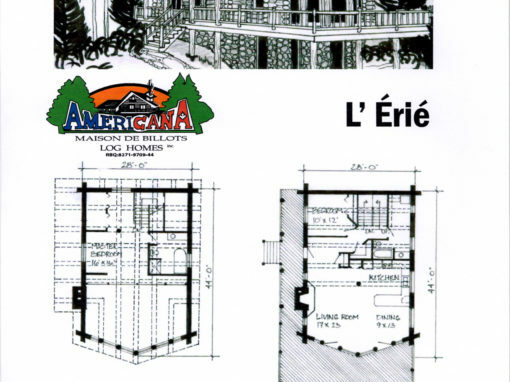 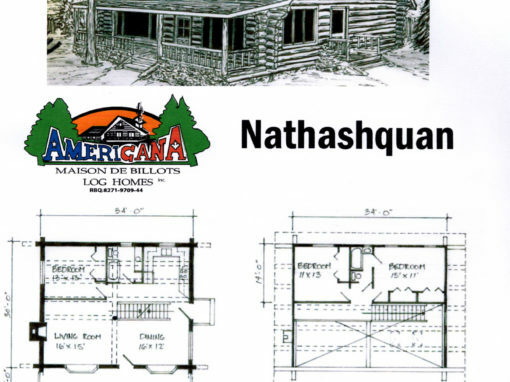 Americana has been building log and timber homes since it’s foundation in 1987 and takes pride in crafting their clients personalized projects. 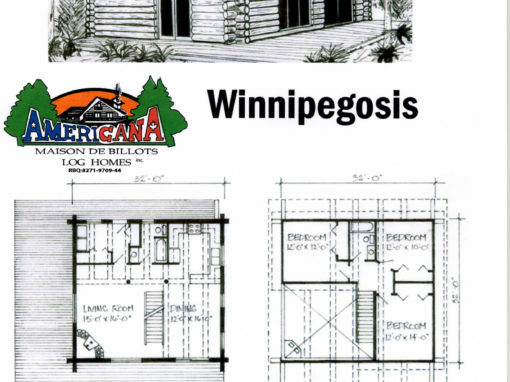 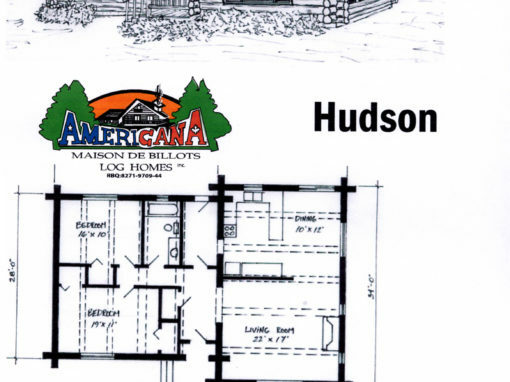 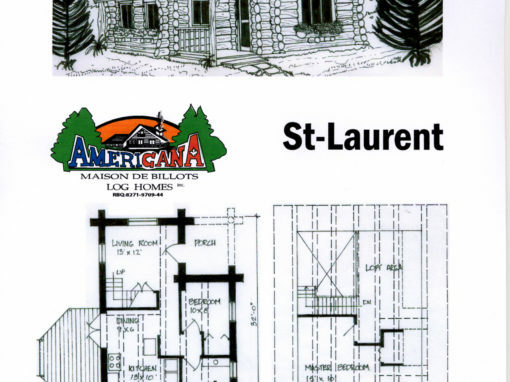 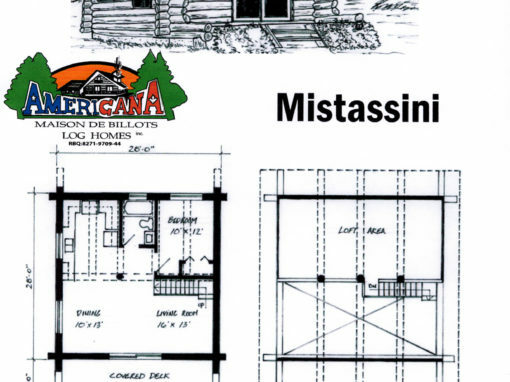 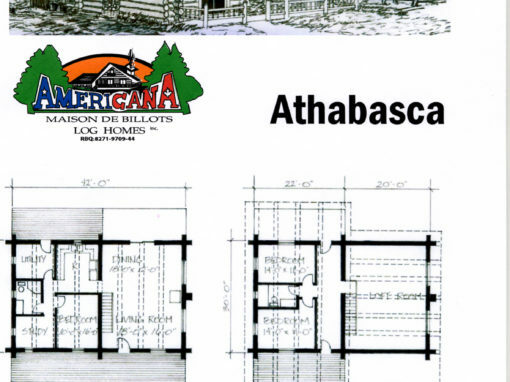 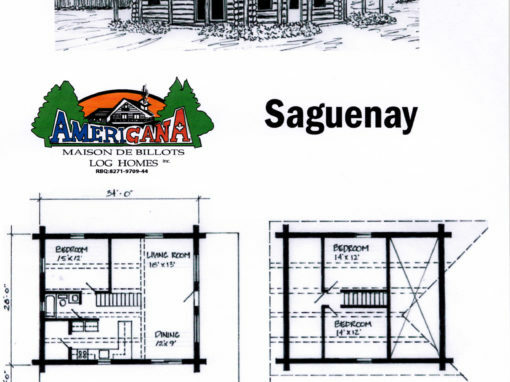 Today, Americana builds some of the finest log homes available throughout Canada and the Eastern United States. 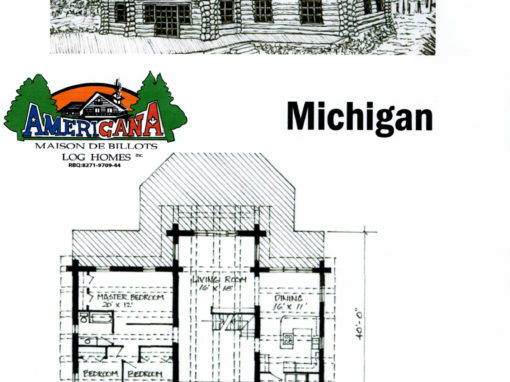 Americana Log Homes is committed to using only the finest quality hand selected eastern white and red pine logs for crafting superior log structure.